Capturing 360 videos and imaged have been a thing done by professional cameras and hence not everyone can get to capture breath taking moments on 360. But that is no more. With Fishball 360 degree lens you can now capture images and as well cover videos in 360 view on your smartphone with no blind spots, more like a Virtual Reality. The little black colored gadget requires no cable or electricity to work. 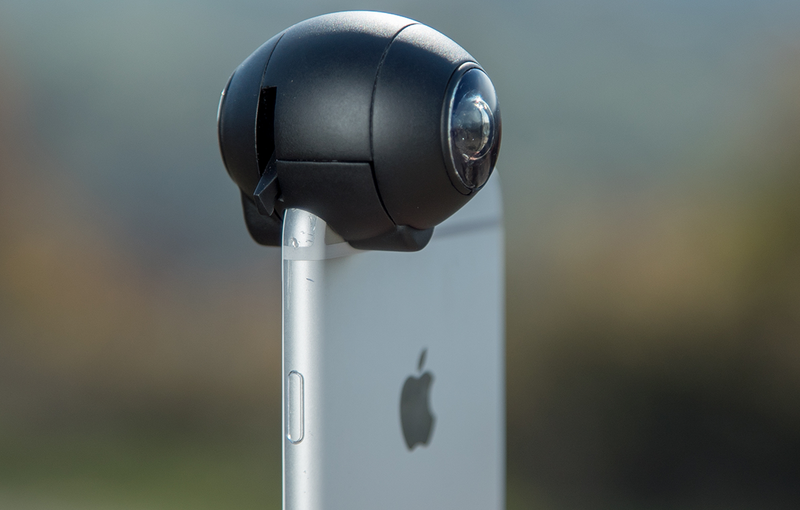 The interesting part of Fishball 360 camera is that it works with your smartphone – iPhone. Just clip it to your Smartphone camera lens and it extends your regular camera’s viewing angle to 360 degrees and capture up to 4k resolution. Fishball fastens to your phone with a firm griping latch that won’t just slip off. Fishball comes really useful when you have to get everyone into a selfie but your inbuilt phone camera can;t go that wide. It also supports streaming in 360° seamlessly. Fishball is currently supported only in iPhone smartphone – iPhone 7 – iPhone X. And i hope with more reach, android phones will get it’s own compatible Fishball 360° lens. It is one of the easiest camera setup, just attach the Fishball on the top of your iPhone were your rear camera is positioned, making it take over the rear camera lens. View your images or videos using a VR app or headset. Alternatively the Fishball application which is free to download on Apple Store is all you need to get set. Fishball is project featured in Indiegogo and it currently gaining backers, it costs $39 for the early birds.